Select 3 Dates Below in Order of Preference! You can select the dates by clicking on any date in calendars below! 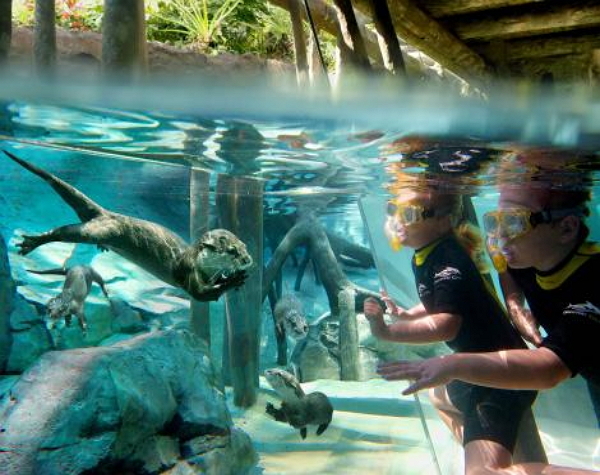 Freshwater Oasis®, featuring wading adventures and face-to-face encounters with playful otters and curious marmosets. 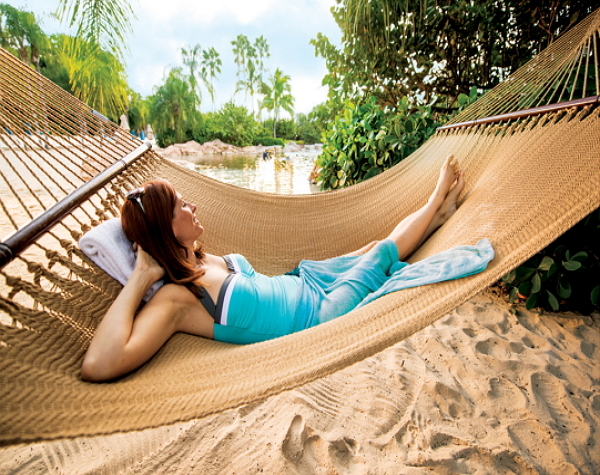 Designed with a rainforest canopy above and sparkling-clear springs below, Freshwater Oasis® is a natural fit within Discovery Cove’s tropical vibe. You can relax and explore. You’ll wade, wander, and float in the water-filled trails. No matter where you turn, you’ll find endless discoveries. Take full advantage of the all-inclusive package and dine at Laguna Grill®. 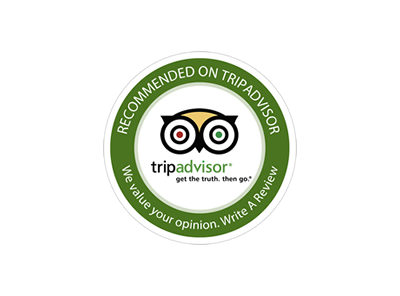 This is the place to come and enjoy a leisurely continental breakfast and our sumptuous buffet lunch, come in and eat light or dive right in! PLUS....unlimited admission to SeaWorld and Aquatica. 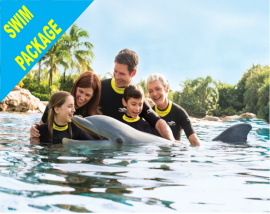 Validity: 1 day admission to Discovery Cove and 14 consecutive day’s access from the first day of entry, to SeaWorld and Aquatica. 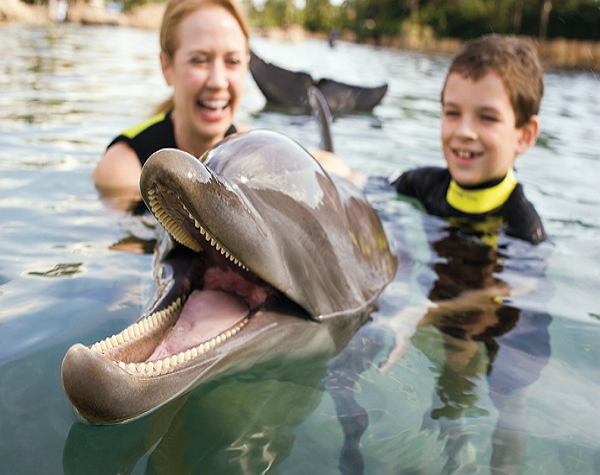 Access to SeaWorld and Aquatica can be taken prior to your day at Discovery Cove. 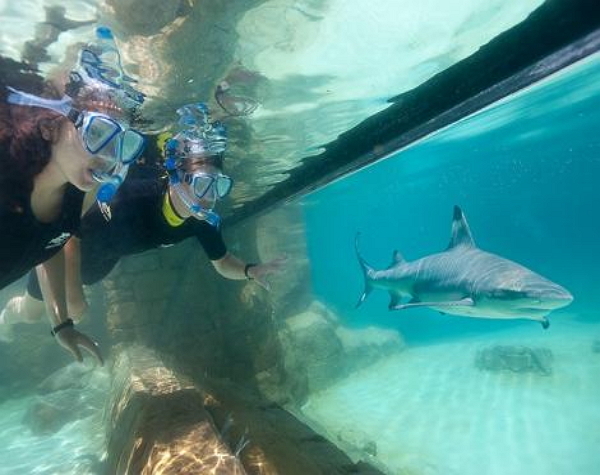 A: Discovery Cove is limited to 1300 visitors per day and is sold on a first come first serve basis. Q: Why do you ask for 3 dates? A: We ask for 3 dates in order of preference. 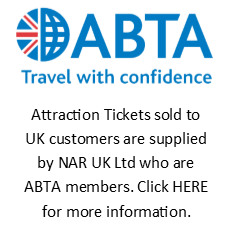 We will always try and confrim your first choice, however, should this not be possible then your 2nd or 3rd choice options may be confirmed for you. Q: How do I know what time slot I will get for the swim interaction? 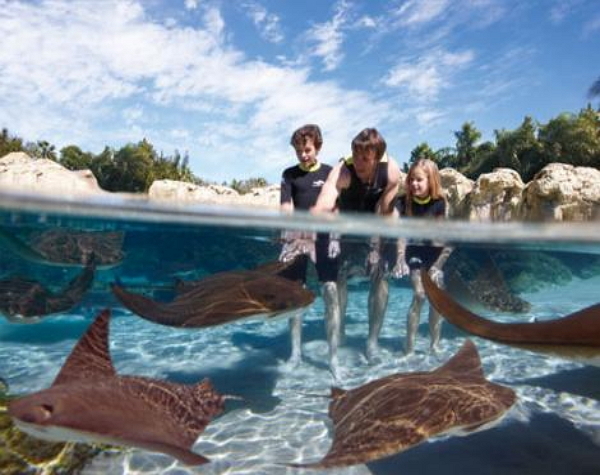 A: Your swim time is allocated once you arrive at Discovery Cove and is on a first come first serve basis. We recommend getting to the park as early as possible. Check in begins at 8am. A: We will send you real tickets in the post. 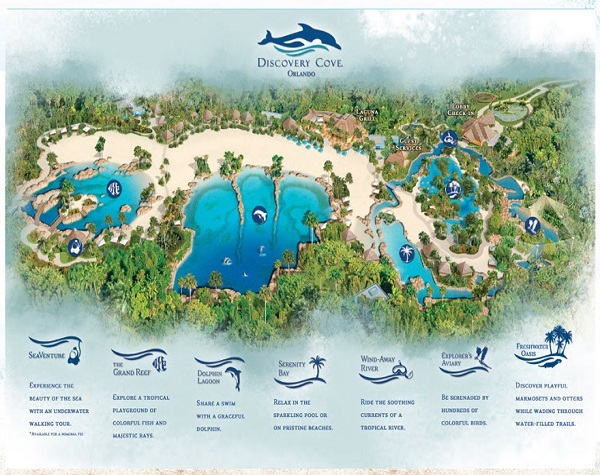 You will get a confirmation letter and information sheet for your Discovery Cove reservation. The SeaWorld / Aquatica ticket is a gate ready ticket printed on A4 paper. There is no need to exchange this ticket. Scan the barcode for entry. We use only recorded delivery and will notify you once your tickets have been sent. Please read our SHIPPING POLICY for more details. Q: Can I use this ticket to visit SeaWorld / Aquatica in the same day? A: Yes. This ticket gives unlimited use over a 14 day period to both parks. 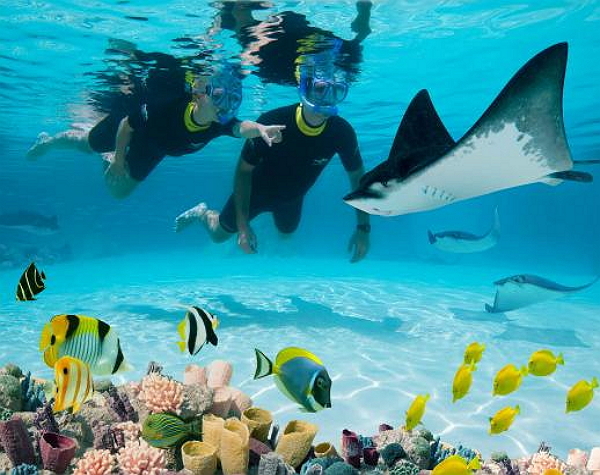 A: Discovery Cove is 100% non refundable with 30 days of your confirmed date. Q: Does the SeaWorld / Aqutica ticket expire? A: Yes. Once you activate the ticket for the first time the ticket will expire 14 days later. 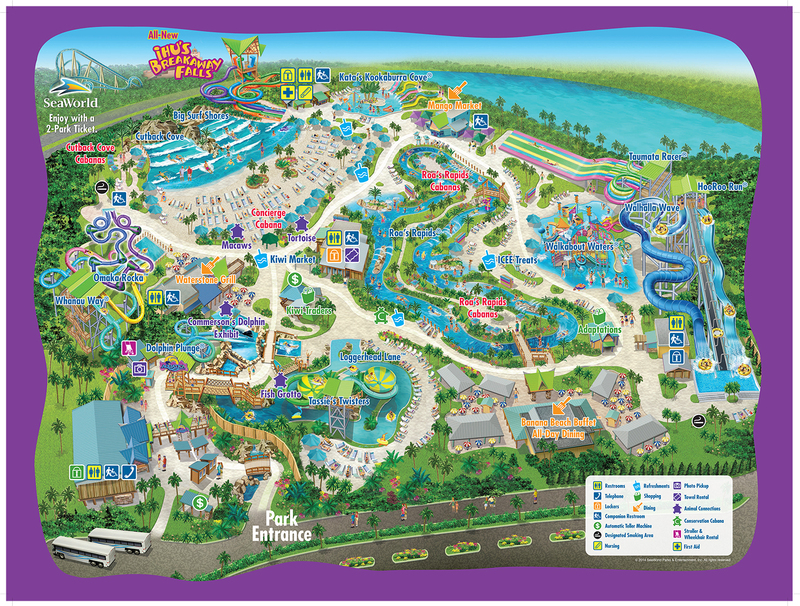 A: Parking is complimentary at Discovery Cove however parking is not included at SeaWorld and Aquatica. 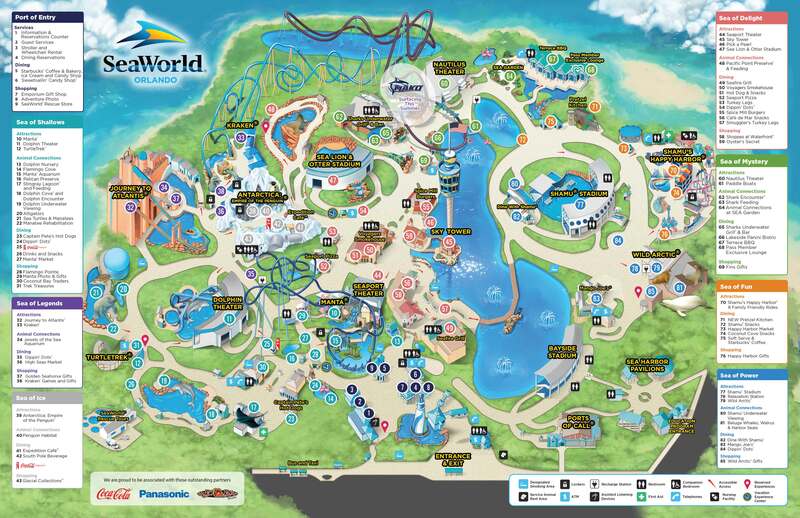 A: Wheelchair access is available SeaWorld however, some thrill rides may have limitations on accessability. 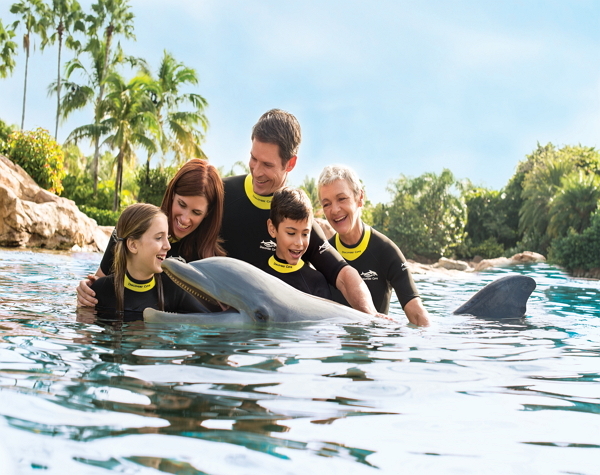 Discovery Cove can accommodate guests with disabilities who are able to manoeuvre themselves with limited assistance (or with the aid of a personal assistant) during their dolphin experience and in the various wading areas. Specially-designed outdoor wheelchairs are available to use on the beach. Please note that these wheelchairs are not self-manoeuvrable so guests will need assistance to use them.